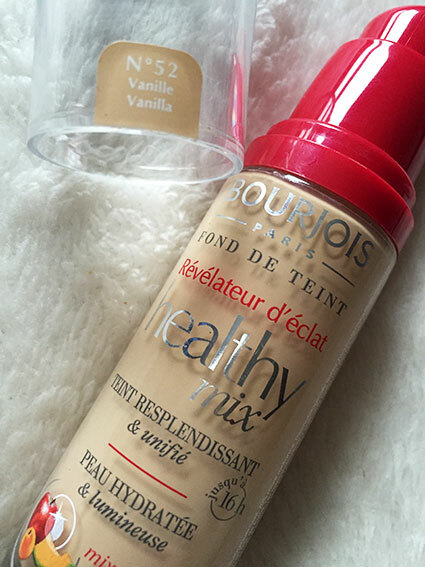 I recently picked up the Bourjois Healthy Mix Foundation which was featured in my make up haul, I heard so many good things about this little one and I finally decided to take the jump and pick one up for myself. Since then I have been using this foundation religiously and let me tell you why. I picked my little one up in No52 also known as Vanilla. Now I have to say the colour range for this foundation is super disappointing. In my local Superdrugs only three colours were available light vanilla, vanilla and beige, the Boots website does show a larger range, I'm not too sure if that is new or not. I adore the packaging of this little guy, red is my favourite colour so the top and pump being red is super cute. The only problem I have with the packaging is the plastic cap to go on top of the pump, it gets super dirty and doesn't clean well which brings down the aesthetics of the product, however, the only reason I keep it on is so it doesn't explode in my make up bag so it's not too big a deal. The first thing I realised about this foundation is the beautiful, citrus smell that radiates as soon as you take the cap off. I adore citrus scents so of course the scent is a big plus for me. The scent comes from the fruit therapy formula said to 'enhance your complexion'. Melon, apple and apricot extracts are included, melon for hydration, apple to protect a youthful complexion and apricot for radiance. Of course I am not sure if each one works individually, but I would say the foundation is super hydrating and leaves my skin looking radiant. When applying this foundation I apply around this much to my hand and use my beauty blender to blend it into my face and down my neck. This amount usually gives me a full, blended complexion. You don't have to use a lot of foundation to have great coverage with this foundation which results in the bottle lasting a long time. 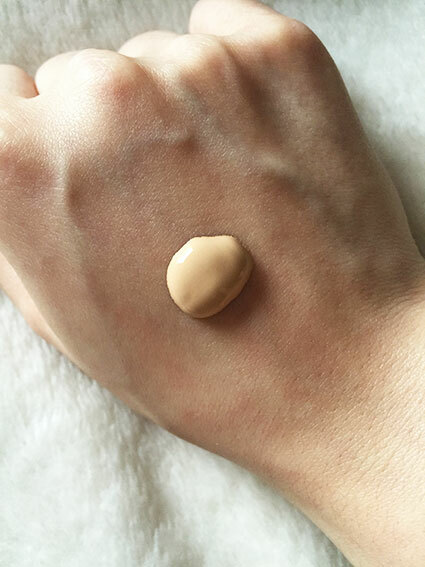 It isn't a heavy foundation, but also not as light as a BB cream, although still one you can wear all day and not feel like your face is packed in make up. After applying it didn't feel wet or sticky, but left a radiant, natural glow to the skin, nothing too over the top and one you can of course build upon with highlight or mattify with a good setting powder. It promises to give you a healthy, covered glow for 16hrs which it did for me, but I did use Benefit POREfessional or MAC Prep+Prime under it and Urban Decays All Nighter Setting Spray on top, which actually kept it locked in place longer than the 16hrs advertised. This foundation is much lighter and natural than other foundations I have used. It's a very buildable product and although coverage is not perfect I would't expect it to be. It covers dark circles enough that I could leave the house with no concealer and not look like I hadn't slept this past decade, but more prominent spots and blemishes still need a dab of concealer. These photos show the foundation on my jawline. The right photo shows where the foundation ends and my naked skin begins. As you can see the colour is absolutely perfect for my skin tone and the foundation gives an even finish. On my chin you can see a little red hormone spot which I would still have to cover with concealer after using this foundation. What you don't see is that on my jawline in front of my ear I have a little red rash at the moment which is invisible thanks to this foundation. 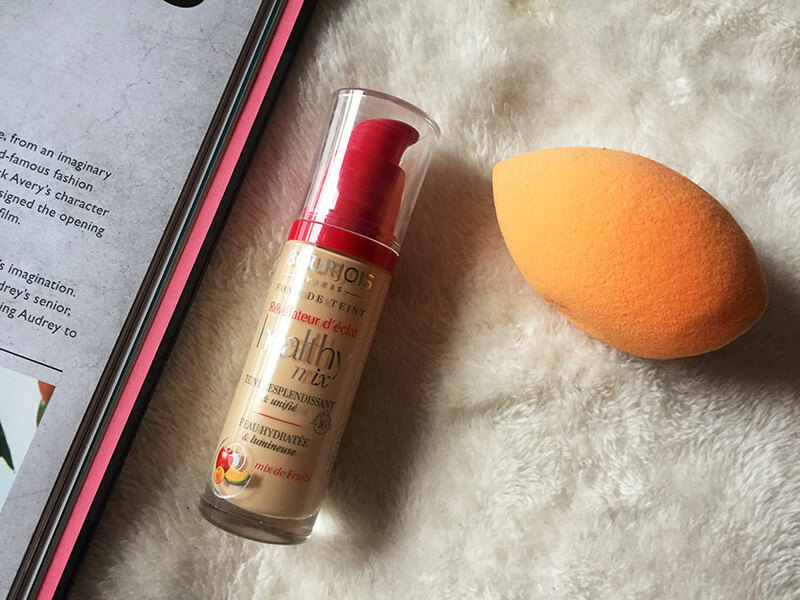 So have you used this foundation? What do you think? What is your favourite drug stop foundation?